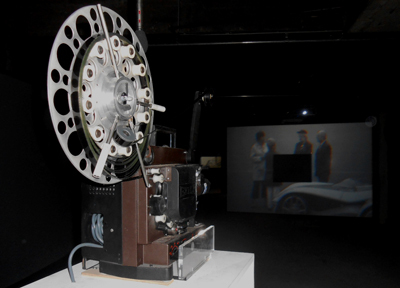 As a side project, L’Abominable rents out S-8, 16mm & 35mm projectors and loopers in gallery spaces. For that purpose, Christophe Goulard conceived and built a series of original 16mm loopers that can take up to 30 minutes of film and represent a very reliable system that preserves the prints. For a top quality of service, we propose that service only locally, in places where we can do the installation ourselves – no shipping out of loopers and/or projectors.